Ralph Leonard Baumberger, age 89, of Uhrichsville, went home to be with the Lord and his family, on August 2, 2018. Born May 23, 1929, in St. Clairsville, O., to Henry and Roxy (Warnock) Baumberger. Ralph proudly served his country, joining the Army in 1951 and served in Korea until his honorable discharge in 1952. Ralph worked at Larson Clay Pipe and the City of Uhrichsville, until his retirement in 1998. He was a member of the Uhrichsville Moose, American Legion, former Midvale VFW and Hey Jacks Sportsman’s Club. Ralph is survived by his wife of 65 years, Jacqueline and 6 children, Linda Kreinbihl, Rodney (Joni) Baumberger, Roger (Yong) Baumberger, Ralph (Denise) Baumberger, Roxanne (Roy) Poulson and Ray (Susie) Baumberger; 11 grandchildren Kerri (Aaron) Clark, Larry (Shannon) Poulson, Michelle (Chuck) Harshey, Lindsey (Brent) Wolfe, Catherine (Skip) Miller, Brent Baumberger, Rachel Poulson, Valari Baumberger, Lewie Kreinbihl, Brock (Kristian) Baumberger and Alexa Baumberger; 15 great grandchildren Amaya, Sean, Joshua, Ashlyn Baumberger, Brylee Wolfe, Makynli, Serenity, Coraline Kreinbihl, Reed and Teddy Poulson, Kaleb Harshey and Destini and Kensee Miller, Drew and Ali Clark; sister Maude Ellen Jones; brother-in-law David (Dottie) Horsfall and many nieces and nephews. 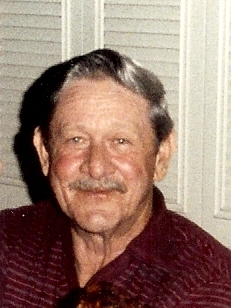 He is preceded in death by his son Larry; son-in-law Richard Kreinbihl; 5 brothers Howard, William, Robert, Earl Ray and Charles; 3 sisters Mary Loy, Gladys White and Martha Stacey. Funeral services will be held at 7 p.m., on Monday, August 6, 2018 at the Uhrich-Hostettler English Funeral Home, Inc. at Uhrichsville, with his nephew Richard Baumberger of Columbus, officiating. Calling hours will be from 5 to 7 p.m., (two hours prior to services) on Monday, August 6, 2018, at the funeral home. Ralph was loved and will be missed by many. Thank you to all the Hospice workers, special neighbors, Heidi Jo Willison and Arvilla Harding who all worked so hard to allow Ralph to spend his final days at home. Memorial contributions may be made to Community Hospice of Tuscarawas County, 716 Commercial Ave. SW., New Philadelphia, O., 44663.